The UP-RISE II 15 compact shoulder bag offers you the possibility to supersize, or downsize, with one easy zipper motion, while still keeping gear protected. 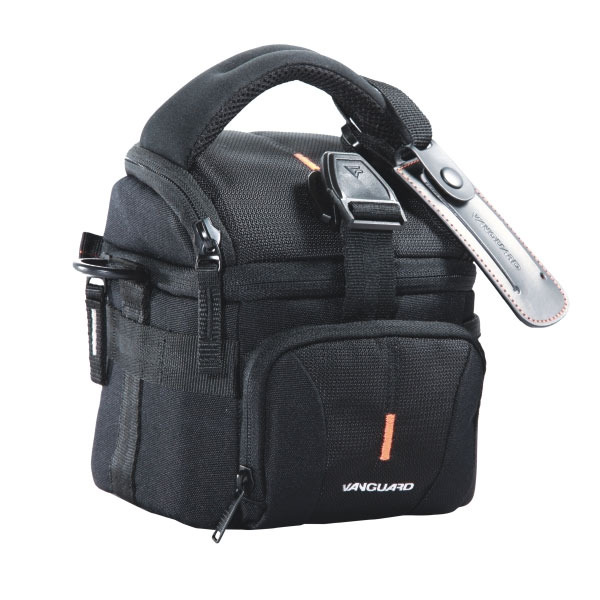 The Vanguard Up-Rise II 15 is a compact shoulder bag that fits a DSLR with standard kit lens attached, along with essential accessories. The unique expansion system will allow you to add storage depth with one simple zipper motion, while still keeping gear protected. So when a longer lens is called for, or you just want to leave the lens hood on, there is no need to switch bags. Designed for intuitive use, you will find that the flap opens away from your body allowing you quick and easy access to your camera. In both size modes the UP-RISE II 15 ensures padded protection and a snug fit. Ideally the capacity is designed for a DSLR with standard kit lens attached and when expanded you can utilize the additional depth. Strategically placed internal and external pockets, arrange all other essentials, such as memory cards, cables, battery, charger and smartphone, exactly where one needs them; either secured in a zippered compartment, or on hand at any given moment in a slip-in pocket. Additional storage is made possible with the connection of any pouch to the side strap loop. Enhancing performance you will discover our second-to-none quality, materials and bag construction, a dedicated name tag, LCD screen protector and our total coverage rain cover. The UP-RISE II 15 carries comfortably across your chest, slung over your shoulder, or secured around your waist using our ICS Belt (sold separately). And the sturdy top handles makes grab-and-run possible at any given moment.